“PAS” is an acronym for preliminary alcohol screening, the roadside breath test police officers conduct before arresting someone for drunk driving. A portable breath analyzer or breathalyzer is used. The PAS test is thought of as an investigative tool that helps police officers determine whether or not to make an arrest. 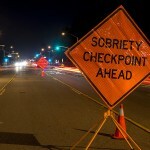 If you are arrested and charged with DUI in southern California on the basis of a PAS test, get legal representation at once and take your case to an experienced Orange County DUI defense attorney. 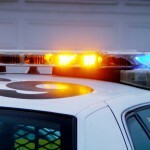 Under California law, a police officer is required to advise you that you have the right to refuse a PAS test unless you are under 21 or currently on probation for DUI. Politely decline to take a PAS test. The test is unreliable and often inaccurate. And despite the hype about using PAS tests as investigative tools, by the time an officer decides to administer a PAS test, he or she has probably already decided to arrest you. You have no reason to give an officer any additional evidence. If you are formally arrested for driving under the influence, whether you take the PAS test or decline it, your legal obligation to submit a chemical test still has not been completed. California has an implied consent law. This means that if you are lawfully arrested for driving under the influence, you are deemed to have automatically consented to chemical testing. Insist on a blood test and let a good DUI lawyer challenge the results later. Refusal to take a chemical test after an arrest is against the law and increases your sentence if you’re convicted of DUI. 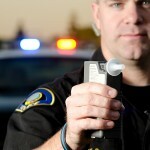 To reiterate: unless you are under 21 or on probation for DUI, politely decline any PAS test or breath test. 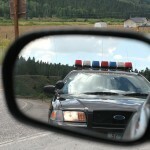 If you are arrested for suspicion of DUI, insist on taking only a blood test. If you’re formally charged with DUI in Orange County or anywhere in southern California, get legal help at once and call an experienced Orange County DUI defense attorney.